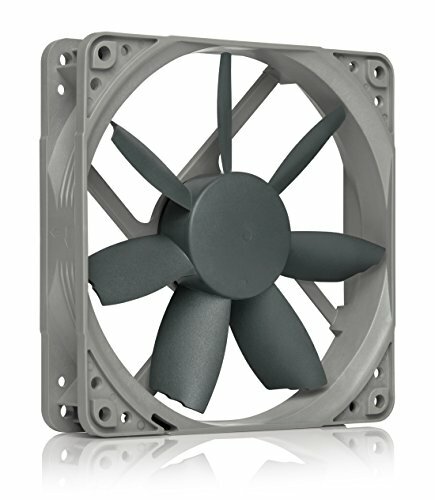 Specifically designed for low impedance case cooling applications, the classic NF-S12B is a long-standing favorite among enthusiast users around the world and helped to found Noctuid's reputation as a top-tier manufacturer of premium quality quiet cooling components. The new redox edition reissues this award-winning model in a streamlined, accessibly priced package that has been reduced to the essential core: the NF-S12B premium fan. Its industry grade SSO bearing, over 150.000 hours MTBF rating and full 6 years manufacturer's warranty make the NF-S12B redox a proven premium choice that provides trusted Noctuid quality at an attractive price point. The 1200rpm PWM version features Noctuid's proprietary NE-FD1 for automatic speed control, which allows to strike a perfect balance between high cooling capacity and low noise operation in each given situation. The redox product line reissues some of Noctua's most popular, award-winning models. Typical PC case ventilation applications require high airflow but only medium static pressure. NF-S12B has been specifically designed for high airflow efficiency & low noise in order to provide best results in these so called low impedance applications. Reducing critical rotor stator interaction, Beveled Blade Tips permit to combine extended leading edges and a higher blade surface area with quieter operation and thus form a cornerstone of the fan's outstanding efficiency. Supporting fully auto. speed control via PWM, the fan uses Noctua's custom designed NE-FD1 PWM IC that integrates Smooth Commutation Drive (SCD) tech. SCD suppresses PWM switching noises & thus makes the fan quiet at lower speeds. Combining the proven concept of hydrodynamic bearings with an add'l magnet that supports the self-stabilization of the rotor axis, Noctua's time-tested SSO-Bearing tech has become synonymous with supremely quiet operation & exceptional long-term stability.